Our orthopedic surgeons provide Partial Knee Resurfacing in place of Total Knee Replacements when possible. They will repair your knee rather than replace it! 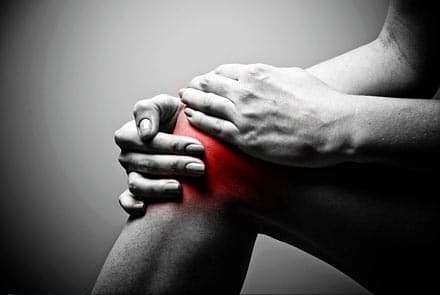 Twinges in Your Hinges… Arthritis knee pain is energy intensive… the pain drains you and limits your ability to walk, work or perform even simple activities. It effects your back, your ankles and your cardiovascular system. When conservative treatment such as anti-inflammatory drugs, cortisone injections, physical therapy, or even the new breakthrough treatment hyaluronate injections, is no longer effective, knee replacement (resurfacing) is a very positive option. Excellent results in terms of pain relief and restored movement can be expected in well over 95% of people. The knee replacement (resurfacing) program designed by Tampa area doctors at The Florida Knee and Orthopedic Centers is considered an international center of excellence. It is this unique program and the orthopedic surgeons’ vast experience with joint replacement surgeries (800-1,000 cases a year) that produces such excellent results for patients. Make A Total Knee Replacement Appointment Today!